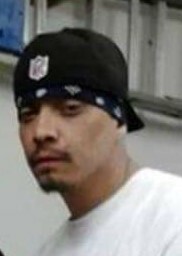 Fernando Rodriguez, 41, of Bayard passed away on Sunday, September 9, 2018. Cremation has been entrusted to Baca’s Funeral Chapels. A Memorial Service will take place on Saturday, September 15, 2018 at ten o’clock in the morning at the Santa Clara Catholic Church. Officiating will be Father Robert Becerra. Fernando was born on November 7, 1976 in El Paso, Texas and was raised in Bayard. He was an avid fan of the Raiders and he loved his children, family and friends very much. Fernando will be missed by all who knew and loved him. Fernando is survived by his father, Jorge Rodriguez; three daughters; three brothers, Samuel Guerrero, Jorge Rodriguez (Sonia) and Rigoberto Rodriguez (Stephanie); two sisters, Silvia Marin (Pablo) and Yesenia Duarte (Jim); numerous aunts, uncles, nieces, nephews and cousins.